Entrepreneur Coaching: It's Not Just for Athletes! Entrepreneur Coaching: It’s Not Just for Athletes! We think of coaching as something that’s mostly used by companies having a crisis, or for employees in transition, but there comes a point for many entrepreneurs where you may need some outside input in getting to the next stage of your growth. A good coach can be the key to take your business and your team to the next level. 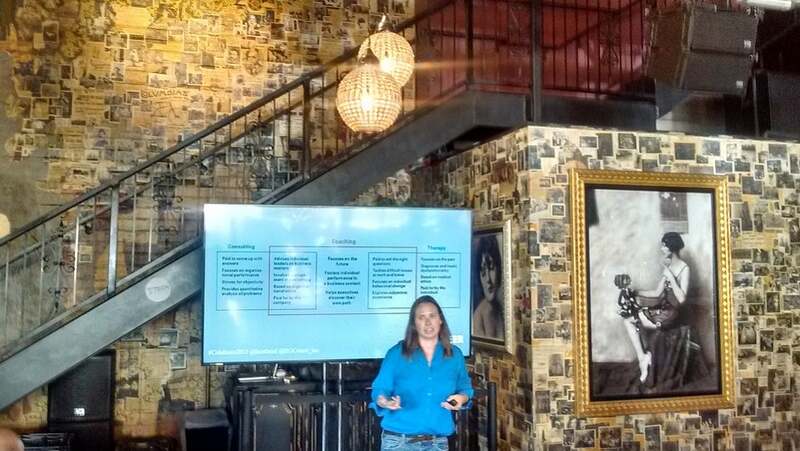 Heather Wilde, Unicorn Whisperer/CTO, at ROCeteer knows the power of coaching for startups, and led participants at Celebrate 2015 through a workshop in entrepreneur coaching. 48% stated that they hired a coach to facilitate transition of a company. 26% hired a coach to act as a sounding board. 12% hired a coach to address derailing behavior in the workplace. What’s your company’s end goals? Think of where you want to be. What is your plan for your company? Who do you want to be? Think of what do you want people to say about you in the future. Then work backwards. Who is your customer? Think about specifically who your customer is, where they live, work and play. Find where they are and communicate with them. What is your desired company culture? This is important. “If you pick the desired culture for your company when you start, then you will be a stronger brand,” Wilde said.